Shipping services that specialize in wine use refrigerated trucks and temperature-controlled storage to keep your collection in perfect condition. 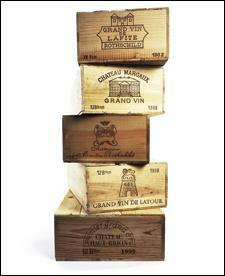 Professional wine shipping is a niche business vital to any wine collector planning to relocate his or her cellar. Thanks to sophisticated packing materials, refrigerated trucks and personnel conversant with handling wine, your collection should arrive at its destination in perfect condition. Professional shipping services come at a price, however. As each circumstance is different, rates will vary substantially according to the size, destination and timing of the job. Packing and shipping a 1,500- to 3,500-bottle wine cellar by refrigerated truck from New York to Los Angeles (a trip that takes about a week) might run $3,000 to $5,000, although smaller shipments traveling a shorter route could cost only $10 a case. Air freight is so prohibitively expensive (about $20,000 for 50 cases) that virtually no one takes that route. The carriers profiled here specialize exclusively in wine shipments. They don't move furniture, mattresses or china—just wine. All of them have humidity- and temperature-controlled warehouses for short- and long-term professional storage. They own refrigerated trucks but also use trusted third-party carriers. This six-year-old company is headquartered in St. Louis but also operates wine-storage facilities in New York, Chicago and Washington, D.C. It is closely affiliated with the auctioneer Acker Merrall & Condit and has worked with winebid.com and Heritage Auctions. President Marc Lazar's most challenging job to date was a 7,000-bottle international relocation for a client who was returning to America and wanted his wines distributed to three different homes. The bill for truck and ocean freight came to $18,000. "But we'll also do jobs in the $500 to $600 range," Lazar adds. This Napa-based company began as a mailing house in 1984 and gradually evolved into a national wine-shipping center. Owner John Helfrick has two storage and retail facilities located in Napa and Sonoma, and clients include private collectors and wineries. Although he employs refrigerated trucks for local runs, domestic deliveries are shipped via UPS. "I can offer great deals thanks to volume discounts," he says. Rates are posted on the company's website. A three-bottle, next-day air shipment from California to New York costs $74, plus $5 for "cold packs" to keep the wine chilled en route. "New Jersey-based Western Carriers have been in the moving business since 1985," says Joel Rubins, who has overseen the company's private-cellar transportation from the outset. "Shipping was a natural adjunct to our storage business." Western has wine-storage facilities in Napa and New Jersey, and its price schedule is based on a 20-case minimum, which works out to $20 per case for packing and materials. Freight charges depend on distance and could cost $3,000 for a New York-Los Angeles run. Former Wall Streeter Lars Neubohn founded The Wine Cellarage in 2003. He presides over a 22,000-square-foot temperature- and humidity-controlled wine-storage facility in the Bronx, which services more than 400 private collectors and the auctioneer Christie's. It is also the seat of his wine-transportation company and a fine-wine retail business. Neubohn says that depending on distance and volume, charges run from $30 to $100 a case. Normally, he will dispatch a specialist to the client's home—even if it happens to be in Wisconsin—to supervise the shipment. "However, one client insisted on doing the packing himself because, by handling every bottle, he finally got to know what he had in his cellar." Thinking about moving your collection? Consider these tips. • Before adopting a do-it-yourself approach to shipping, remember that each 12-bottle case of wine you'll hoist weighs approximately 35 pounds. • Don't count on UPS and FedEx services. They accept packages containing wine from licensed shippers only. • Don't pack wine in Styrofoam, which is bulkier than cardboard cases and takes up more space in the truck, increasing expenditures by as much as 100 percent. • Shipping is a commodity business, and volume counts. You can reduce costs by waiting until you have a large order or by consolidating your shipment with someone else's. • Check your insurance policy before you ship. Most homeowner plans cover wine, but don't get caught unprepared. • Some standard movers won't touch wine; if you are selling your house, don't wait until the last minute to check your shipper's policies. • You should be present when your wine is picked up to ensure it all gets on the truck. • Not all states accept wine shipments from outside their borders, although most will make allowances for private collectors who are moving their wines with household goods. Websites that provide interstate shipping information include www.freethegrapes.org, www.shipcompliance.com and www.specialtywineretailers.org.